Over 50 events across the USA: Tamron hits the road to enhance the picture-taking abilities and unleash the creative potential of photo enthusiasts from beginners to advanced shooters. The series of two-day Extravaganzas are hosted by local Tamron dealers at 50 plus specified times and locations throughout the U.S. Each event includes Tamron's "Eleven Simple Secrets to Better Pictures" two-hour seminar prepared under the guidance of Tamron’s distinguished group of veteran pros including Andre Costantini, Ken Hubbard, and John VanSteenberg. 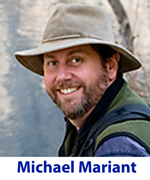 Admittance to the seminar is $24, and this includes a welcome package, refreshments, raffle chances and a coupon for $25 off a qualifying Tamron purchase. As well Tamron will be offering special pricing on their lenses to the participants. To find out if the tour will come to a place near you, please check Tamron's events page for the schedule. DxO Labs has released 70 new lens & camera combinations for its image enhancing software DxO Optics Pro. Modules for the Nikon cameras D3000, D300S, D40, D5000, D60, D70, D70s and D90 were added to the library. It now has a total number of over 1,900 modules. A list of all new combinations and all information about the software can be found at the webpage of DxO Labs. Adobe has released a new 'public beta version' of its Lightroom 3. It is available for free. Based on the tester's feedback from 'public beta version 1' some new features, enhancements and tweaks have been added to Lightroom 3. The overall speed of the 'Import' and 'Library' module have been increased, a fast 'Tethered Shooting.' An import and management of videos from DSLR cameras module has been added. The 'Slideshow' and 'Print' modules have also been improved. You find all new features and the software download on the Adobe Lab pages. Nikonians support Adobe developing Lightroom! Please give your feedback on the latest version in this thread. Topaz has reworked its Photoshop plugin, version 4. The new version features a redesigned interface and a better performance. Topaz Adjust enables you to improve your images with "creative exposure, powerful detail enhancement and unique color manipulation tools." Owners of version 3 may update free of charge, the new plugin costs $49.99 (USD). Silver, Gold and Platinum members get a 25% rebate on this software (and on all other products from Topaz). Just get it as usual at your Nikonians Rewards page. If you want to test the software you can get a 30 day trial version at Topaz' homepage where you can also find all information on the plugin. Our 10th Anniversary Photo Contest first round of judging and has been completed and we have a winner and two honorable mentions to congratulate. We have also revised (and expanded) the deadlines for the next two rounds of judging. The first round winning entries cover the theme "What Nikonians means to me" and include examples of images created thanks to lessons learned from the community. 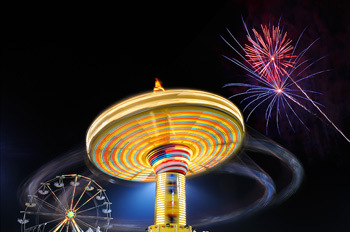 First Place honors go to "A World of Fun" by member Jeff Meyers (jeffmeyers), from Missouri, USA Nikonian since 2006. Jeff subtitled his winning entry: "The Nikonians community is a carnival of coolness!" 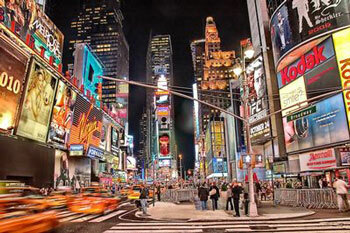 It was taken with his Nikon D300, using an aperture of f/11 for an exposure lasting 1.5 seconds. The ISO was set to 200. - One Photo Pro Shop USA voucher for 10% discount on any purchase above $50 within the next 12 months. "Crossroads of the Nikon Universe" by Mark Garbowski (mgarbowski), from New York, USA. Mark has been a Nikonian since 2009 and the image was made with his Nikon D50 and AF-S DX VR Zoom-Nikkor 18-200mm f/3.5-5.6G IF-ED lens at ISO 400, on a tripod with aperture priority at f/8 and 1/4s shutter speed. 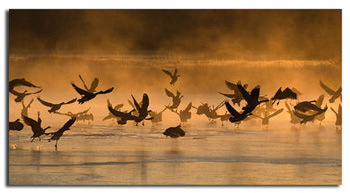 "Geese in the Mist II" by Kelly Morris (Morris in MT), from Montana, USA. He's been a member of the Nikonians community since 2007 and made the winning image with his Nikon D80; AF-S VR Zoom-Nikkor 70-300mm f/4.5 - 5.6G IF-ED lens at 195mm; F5.3; 1/1600 sec; ISO 800; +1 Exp Comp. The next two rounds of judging include an extension to the original deadlines. As we came close to our first round deadline dates we heard from some members with technical difficulties getting their submissions registered on time. To benefit our members we have expanded the contest deadline dates to make sure everyone has a fair chance at our prizes. When you check on the 10th Anniversary Photo Contest Rules for all submission guidelines, you will now have new extended deadlines available. The winner will be our member who submits a photo that best expresses fellow Nikonians with their gear taking photos in environments or scenarios that have been made possible by their membership. This gallery is now open, and the eligibility dates have been updated to include March through April, 2010. The winner will be our member who submits a photo that best expresses "Look at the places I have been to, inspired or directed by Nikonians" and "Places and pictures I could not have made without my fellow Nikonians." This gallery will open in May and will last through June, 2010. 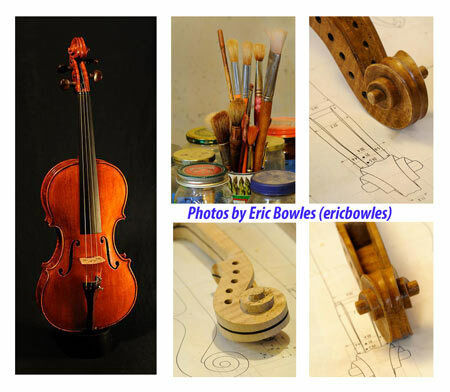 You can follow the 10th Anniversary Contest Galleries here, and we will provide winner details in our News Blogs and Newsletter. Jason returns from a week in the Everglades, and then the doctors answer the most frequently asked questions they receive. 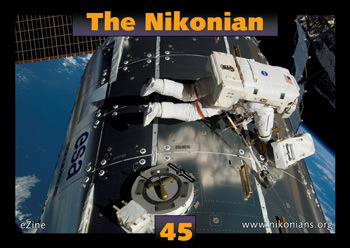 The newest edition of The Nikonian, our official nikonians.org magazine is available for free download and features one of our own members describing the challenges (and benefits) of shooting images in space. Navy Captain Alan G. Poindexter (dex) will be leading Space Shuttle Mission STS-131 as the Mission Commander in April and he took time to share his space photography experience in this issue. Curious about who's using your images? Worried about protecting your intellectual property from misuse? Are copyright violations eating away at your profits? Sign up now with ImageRights - a service that works ceaselessly and efficiently to look for your images online, identify who's using them and how. Subscribing Nikonians receive a 10% discount through the Rewards program. Using innovative visual search and image recognitiion technology, Image Rights helps protect your photographs and illustrations by conducting discovery searches on the Internet, and empowering rights holders to reduce illegal image use and ultimately recover fees for the unlicensed use of their works. Click here to get protected! Jobo AG and Jobo Labortechnik GmbH u. Co. KG filed for bankruptcy at the municipal court in Cologne,Germany last Friday. The third generation family-run company, founded in 1923, is based in Gummersbach and "will get restarted very soon" according to CEO Johannes Bockemühl-Simon. Jobo concentrated on the distribution of photo accessories after the strong growth of digital photography. Tamron today introduced its latest lens, the SP 70-300mm F/4-5.6 Di VC USD (Model A005). It features a new Tamron developed USD (Ultrasonic Silent Drive) motor and a Vibration Compensation (VC) that enables the photographer to shoot at a shutter speed that is an extra four stops slower without having to worry about blurring. The lens, produced for the Nikon mount (Canon and Sony to follow) is made from specialized high-grade glass that has lower dispersive properties than standard LD lenses. 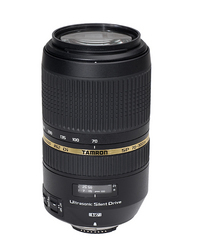 Tamron's USD works with the high-frequency ultrasonic vibrations that are produced by a ring. Energy from the vibrations is used to rotate an attached metallic ring. This is used to create a fast and smooth auto-focus drive. Availability and pricing has not been officially announced yet. We'll will keep you updated on this. You can find all details in the official press release by Tamron. The exact name of the new compilation is CorelDRAW Graphics Suite X5 and it is supposed to be qicker, more powerful and more flexible than its predecessor. According to Corel the bulk of the improvements were in response to requests from users. The suite consists of Corel DRAW X5 (vector illustration and page layout), Corel PHOTO-PAINT X5 (image processing), Corel PowerTRACE X5 (bitmap-to-vector file conversion), Corel CAPTURE X5 (one-click screen capture utility) and Corel CONNECT (full-screen browser). Along with new tools, simpler workflows and a new built-in Content Organizer it also brings more digital content with it: thousands of images, graphics and fonts. The full version costs $489, the upgrade $189 (USD). 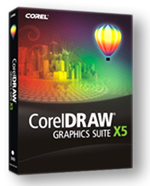 Full details and ordering information can be found here: CorelDRAW Graphics Suite X5. We would like to introduce you to an application that enables you to put your images online and to manage and distribute them: Zensario.ImagePool. The big difference to the usual stock photography solutions is the fact, that you are your own boss: presentation, image management, image copyrights and prices are fully under your own control. Zensario also has a unique automatic payment processing (PayPal, credit cards) with no additional cost. The application price starts at $90 per month. Silver, Gold and Platinum members can test is for free and save $50 when buying it. Just get the rebate code from your Rewards Page. 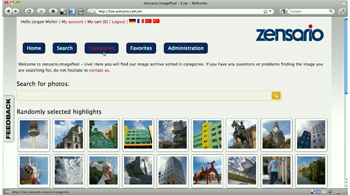 See how Zensario.ImagePool works in this demo movie. Check your Nikonians Rewards Page! Silver, Gold and Platinum members have a new discount source on PHOTORECOVERY® software and extra savings potential from LaserSoft Imaging available through their personal Nikonians Rewards coupons and vouchers section. Recover "once in a lifetime" moments thought to be lost forever! If you are looking for an easy-to-use application for recovering images, movies and sound files from all types of Digital Media, PHOTORECOVERY® by LC Technology offers a 15% discount on their data recovery software. This offer is extended to all Silver, Gold and Platinum Members through the special voucher code and coupon available through your Nikonians Rewards Page. With this software, you simply insert your digital media into the reader and run PHOTORECOVERY® on the media and then save the pictures off to another location. PHOTORECOVERY® also recovers documents, spreadsheets, text files and many more! It will allow you to create a backup image of your card and allow recovery from your backup image as well as other card image formats! The software supports both Mac and PC platforms. LaserSoft Imaging is providing Nikonians Rewards vouchers for discounts of up to 25% on their products. Check your Nikonians Rewards page for the LaserSoft discount vouchers, and make sure you scroll down if you are a Gold or Platinum member. The discount vouchers are different for each level. Silver members get a 10% discount, while Gold members receive 15% off and Platinum members top off at 25% in savings. By scrolling down on the Nikonians Rewards page you will find the correct voucher numbers based on your membership level. LaserSoft Imaging is the developer of scanning and image processing software SilverFast and the SilverFast Archive Suite. The product range includes software for scanners, digital cameras, printers and HDR image processing. The SilverFast Archive Suite bundles two programs: SilverFast Ai IT8 Studio and SilverFast HDR Studio. We are updating the available discounts often, so make sure you check in here regularly as not to miss out on the great deals available. We have partnered with several vendors to provide our Silver, Gold and Platinum members with significant rebates on high quality products and services. If you are not a Silver member or higher yet, you can upgrade for as little as $25 USD per year (less than 7 cents per day). SanDisk last week announced that it has begun to ship its latest flash card SanDisk Ultra® SDXC™. The Class 4 card has a read speed of 15 MB/s and a capacity of 64 Gigabyte. It uses the new SDXC format which can easily deal with High Definition videos. The flash card costs $349.99 and can be bought at the online shop of SanDisk. For more technical information you may want to have a look at the official press release. Before you buy the card, please make sure your camera can handle the SDXC format!